The Shock Absorber Max Support Bra has a classic design with modern rounded silhouette with a soft, wide underband for breathability they also have adjustable straps for optimal fit. "Good support and good fit"
"Perfect fit and sizing, does what it says"
The Shock Absorber Active D+ Classic Support Sports Bra has a classic bra design, this bra offers an extreme level of support making this bra a great choice for sports that demand a high level of support. This bra is a non wired bra which has a seam structure designed to offer a more rounded shape. With wide adjustable straps and a padded soft non rub rear 3 row hook and eye fastening. The Shock Absorber Active D+ Classic Support Sports Bra has been finished with the classic Shock Absorber logo and a high central gore for increased support. This bra has been made in a high quality moisture wicking fabric making sure you comfortable through out your workout with powermesh along the top of the bra for key ventilation to the body. Wide padded adjustable straps - For a personalised fit. 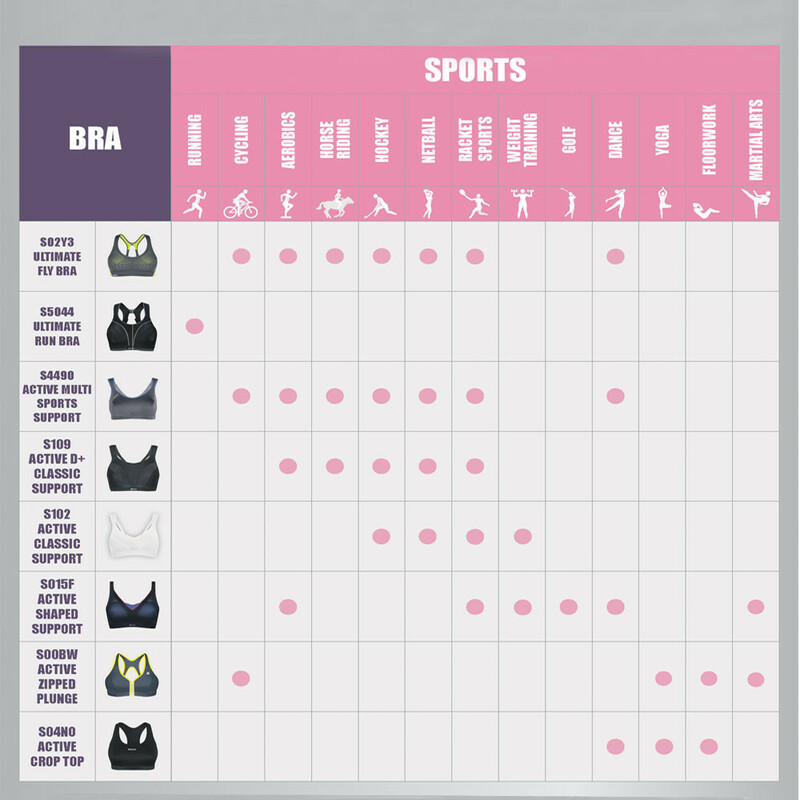 Non Wire Soft Cup Sports Bra - For feminine support. Soft wide underband - For increased comfort. Padded Soft non rub 3 row hook and eye fastening - For a secure fitting. Moisture management - Allows sweat to be wicked away from the skin. High central gore - For increase support. Classic logo on the centre and the back of the bra - For aesthetic styling. Composition - 46% Polyester 49% Polyamide 5% Elastane.